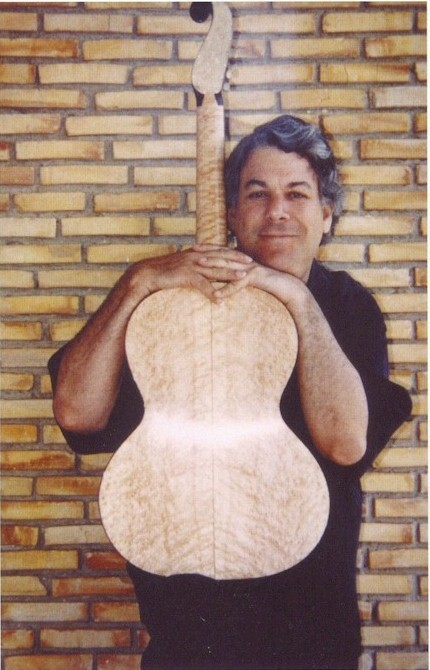 Feb. 12, 2007 -- Guitarist David Starobin will perform Tuesday, Feb. 27, on the campus of Arkansas State University in Jonesboro. His performance, an evening of classical guitar music, begins at 7:30 p.m. in the Student Union Auditorium. It is free and open to the public. Co-sponsors are the Lecture-Concert Series and the ASU Guitar Guild. Starobin is one of the top classical guitarists of the latter half of the 20th century, playing a leading role in gaining acceptance for the works of contemporary composers. Born in New York, Starobin began playing the guitar at the age of seven, studying with Manuel Gayol, Albert Valdes Blain, and Aaron Shearer, and eventually graduated from the Peabody Conservatory of Music. Over the years, more than 300 pieces were written specifically for Starobin by a wide variety of composers, including Gunther Schuller, Milton Babbitt, Jonathan Harvey, George Crumb, Elliott Carter, Roger Reynolds, Lucas Foss, Per Norgaard, and Robert Saxton. In 1981, Starobin founded the Bridge Records, Inc. label, which he runs w ith his wife, Becky. In addition to performing and producing, Starobin has taught at the Manhattan School of Music, where he holds the Andrés Segovia chair. He has won five Indie Awards and 11 Grammy nominations. The next Lecture-Concert event will be guitarist David Starobin and conductor George Crumb who will present a concert of music by George Crumb on Thursday, March 1, at 7:30 p.m. in Riceland Hall, Fowler Center. For more details, please contact Dr. Gil Fowler, associate dean for The Honors College, at 870-972-2308 or visit http://honors.astate.edu.